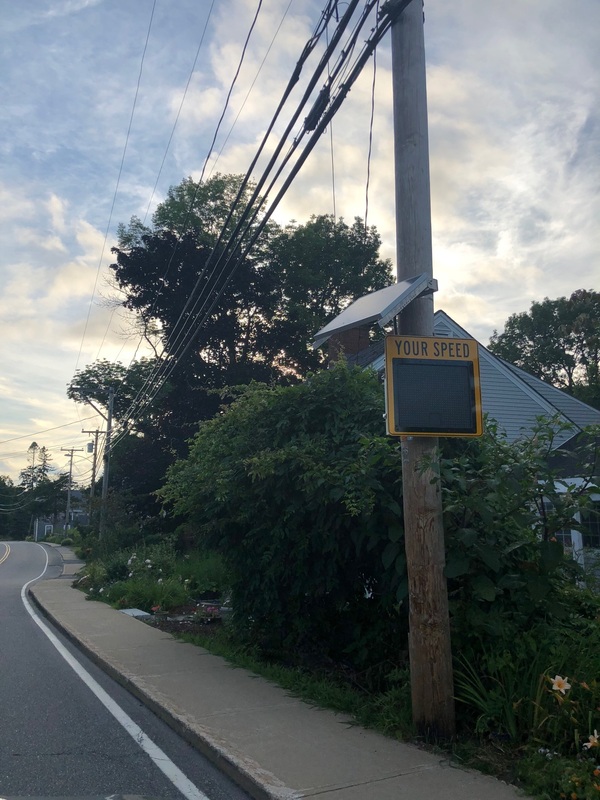 As a result of citizens concerns about speeding vehicles, action by the Kittery Town Council and the Town manager Kendra Amaral, the town has deployed three Speed Radar Pole Signs. One sign kit was obtained with a grant and the others purchased by Kittery. They were deployed last week by Acting Chief Gary Eaton at the direction of the Town Manager in three critical areas. State Road by the Lions club, Rte 103 (Pepperell Rd.) and Rte. 236 before Dana Ave. It is the hope that additional signage will be sought and deployed in areas of high priorities as funding becomes available. From Wikipedia, some of the following information was obtained. A radar speed sign is an interactive sign, generally constructed of a series of LEDs, that displays vehicle speed as motorists approach. The purpose of radar speed signs is to slow cars down by making drivers aware when they are driving at speeds above the posted limits. They are used as a traffic calming device in addition to or instead of physical devices such as speed humps, speed cushions, speed tables, and speed bumps. Signs are available in a range of costs with a variety of different features. 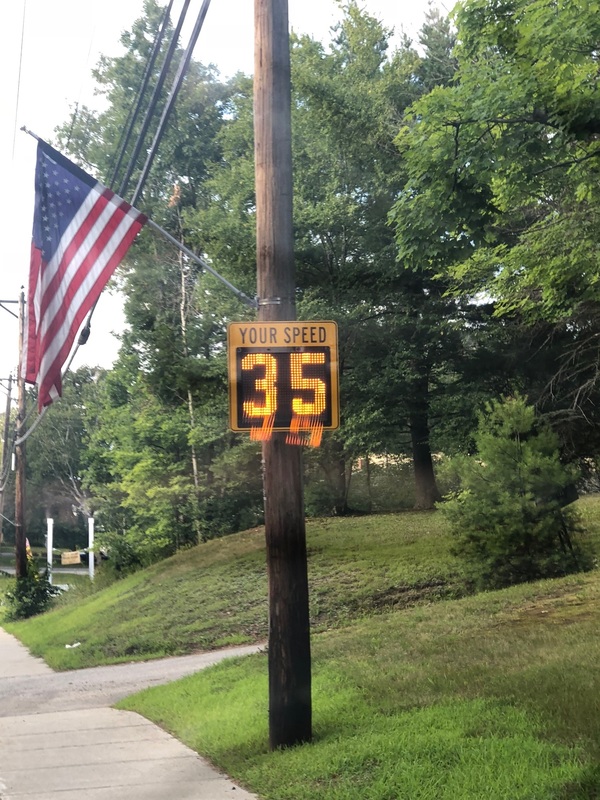 Manufacturers of radar speed signs abound, ranging in style and features from a basic inexpensive sign to more sophisticated signs with myriad features to help analyze data and improve results. Pole mounted signs that combine speed display with variable message capability are often used in school zones, eliminating the trailer’s “footprint”. 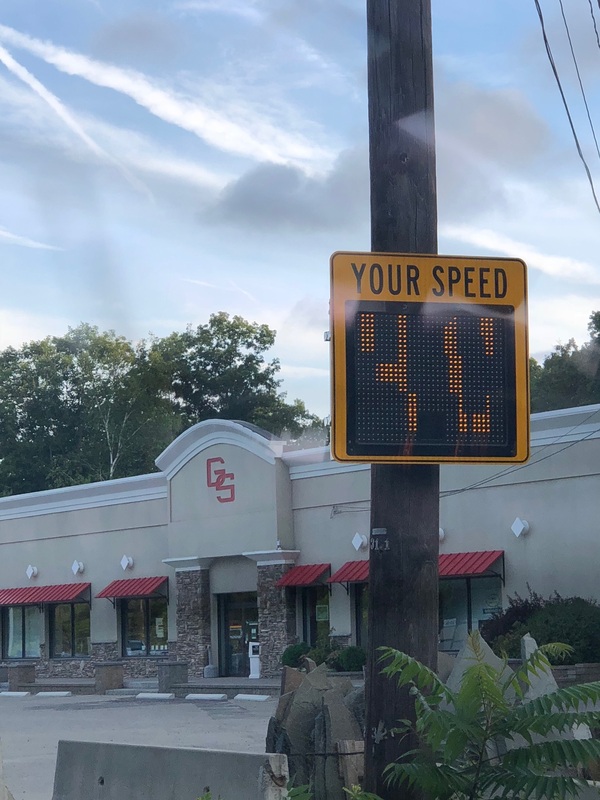 Standard signs have stationary block letters that display the words “your speed”. More advanced models include variable messages such as Your Speed, Speed Limit, and Slow Down, which can be programmed based on motorist speed. Many manufacturers offer optional solar power, which allows the signs to be powered via solar energy with rechargeable batteries included for nighttime operation. Some of the features offered on the higher end signs include focused viewing systems to avoid distractions for motorists in other lanes, vehicle data collection, programmable software that allows you to determine sign behavior, and/or access via portable devices such as Bluetooth or PDAs. Studies conducted both in the UK and in the US have found radar speed signs to effectively slow traffic down. Although the overall speed reductions are generally less than those resulting from physical measures, the signs have the greatest effect on those drivers that are exceeding the posted speed, or traveling within speed transition zones. 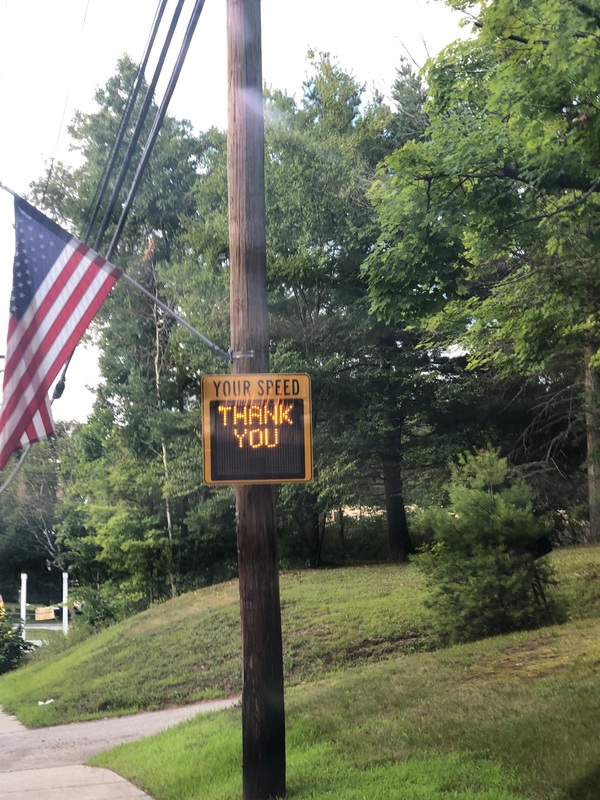 After the recent deployment on State Road, Kittery residents including a local resident Dominic Goupil stated “it was immediate obvious that many of the cars heading north approaching the signs reduced their speed.” This is evolving process and the hope is that Kittery continues to add these through out the Town. These work, and helps our police department and keep our streets safer. Many times people forget or daydream and the flashing strobe lights remind them they need to pay attention. This is an example of Kittery being proactive. Other Kittery initiatives are being pursued such as changing all the street lights to LED to help significantly reduce our monthly $9000.00 street light bill and lowers Kittery’s carbon footprint. This entry was posted in General Town News on July 23, 2018 by Chuck Denault.